OnePlus have just done it for a third time and created a good phone for those on a budget. It doesn't have as many fancy features as the OnePlus 2, but for the price it's an impressive set up. OnePlus had a happy 2014 thanks to its first phone, the OnePlus One, but 2015 was harder, with only a lukewarm reaction to the OnePlus 2. 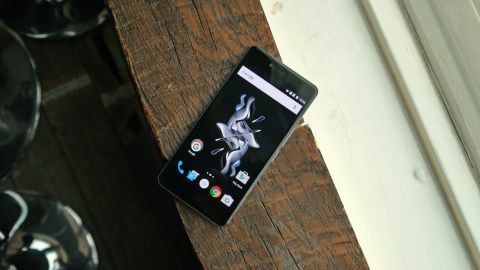 The Chinese company then brought out the OnePlus X towards the end of the year to see it into 2016 – and it's a phone with an even more attractive price tag than the flagship range. The X saw the introdcution of a new 'budget' line for the still-young firm, and it's a chance to extend its customer base to those who like high-end specs and a nice design, but most of all a low, low price. That price started at £199 ($249, about AU$350) – around the same as the Moto G 2015, and undeniably great for the spec list, given that the OnePlus X is superior on paper to Motorola's cheapest handset, and most of the rest of the competition. Since its launch the OnePlus X then dropped in price to £189 ($199, about AU$), but it's now no longer available from the Chinese firm's website. To be honest, you'll be lucky if you can find a brand new OnePlus X anywhere now. A successor to the X looks unlikely too, with OnePlus confirming their focus on a sole flagship line during the launch of the OnePlus 3 in 2016. The OnePlus X is one of the nicest looking phones to have come from the Chinese start-up so far - topped only by the OnePlus 3. The OnePlus 2 mirrored the OnePlus One quite closely, but the X has gone down a different path. The OnePlus X features a glass back that looks great – at least until you start putting your hands on it. After using the phone for a few minutes, the back was covered in my grubby marks. Although the back looks slippery, in use it always stayed safely in my hand. Behind the glass sits the OnePlus logo that always turns heads of smartphone fans in the pub. Anticipation for these phones is so high that friends are genuinely excited to see one in the flesh. The rounded corners at the edge of the screen remind me of the iPhone 6 and iPhone 6S, but I don't think they'd be particularly hardy. One drop is likely to scratch them up. Black bezels sit across the top and bottom of the screen, and the capacitive back, home and list keys run along the bottom next to the microphone. On the top bezel is the front-facing camera, earpiece and a little LED notification light in the top right. One of the OnePlus X's best tricks is that you can set different lights for different functions: one colour for notifications, and another for low battery. This is useful, as you can know exactly what your phone wants to tell without turning on the display and wasting battery. The edges of the OnePlus X are strange. OnePlus has opted for metal around the outside that feels more premium than the OnePlus 2, but it's a rough texture all the way around as well. When I first picked up the phone I wasn't impressed with this – but I've grown to really like this while using the OnePlus X. On the top-left edge is the notification button, which proves quite useful. Whenever your phone is buzzing and you don't want to be disturbed, you can flick this to the off position to ensure you won't be bothered again. On the right hand side is the volume rocker, with the power button just below it. I find these the wrong way round, to be honest. The power button is a little too low along the side of the phone, and I found myself hitting the rocker by accident on more than one occasion. It's something I got used to with time though, and it's not a major gripe. Surprisingly the OnePlus X isn't very heavy – it looks like it should weigh be more than the 138g it actually is. The phone sits in the hand really well, and is noticieably more comfortable than the slightly larger OnePlus One and OnePlus 2. Overall, OnePlus has taken what made the iPhone 4 a great looking phone, blown it up a little, and applied its own tweaks to make a premium phone fit for the 2016 market. I really like the design of the OnePlus X – and if you compare this look to other phones on the market, you won't find anything near this level of beauty at this price.